Vikings, monks, mariners, pirates, bishops, soldiers, press gangs, smugglers all feature in the story of Dursey, Co. Cork's cable car island. This book examines myths and legends of Dursey and the adjacent Bull, Cow, Calf and Heifer rocks and, in tracing their history, presents momentous events from the past, such as shipwrecks, a notorious massacre in the Elizabethan wars and the 1881 Calf Rock rescue. 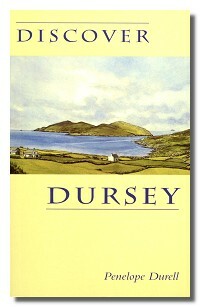 The Discover Dursey map (available separately) contains over two hundred Irish place names from Dursey and their meanings and includes names for almost all the fields on the Island!.